This is one of the more strange statues on the list. 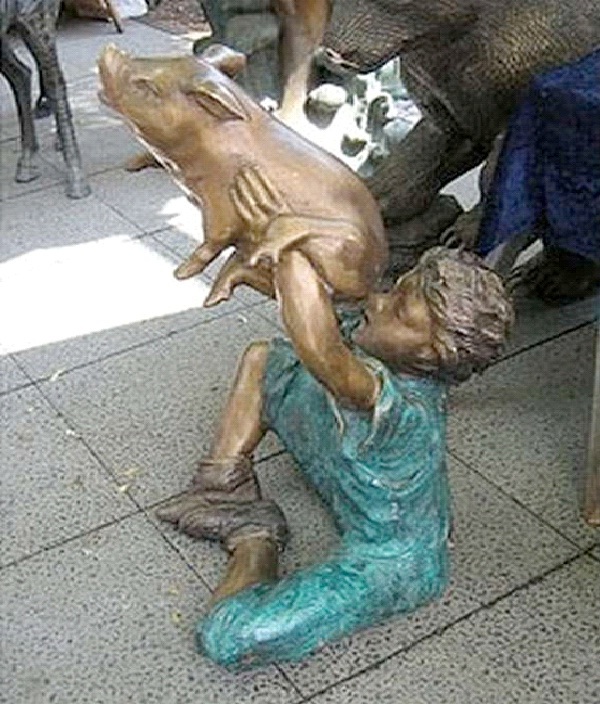 It appears to be a little boy who is holding up a pig, yet the pig's but is directly in his face. It almost looks like the boy is using the pig as a horn, holding it up to his face and getting ready to make some music.